What if? at “Tagung Neues Hören für Erwachsene” | what if? Public presentation is important for us on the What if? project for a number of reasons: for research, for insight into the process of creation and performance, and for the sheer joy of sharing. We’ve loved interacting with you and creating with you over the past couple of years. That’s why we also feel very strongly about presenting all this participatory art to the public in the context of concerts and talks and want to showcase the artwork that Barbara has been creating based on your contributions. On the 23rd of February, Barbara will perform Slices of Life at the Kunstuniversität Graz, at their biggest concert hall, Ligeti Saal, Mumuth, at 20 hrs as part of a concert she shares with artistic researcher and composer Marko Ciciliani. The next day, she will give a talk as part of “Dramaturgie & Ort I: Neue Musik und ihr Publikum” (Dramaturgy and Place I: New Music and its Audience). Have a preview of the first part of Slices of Life. 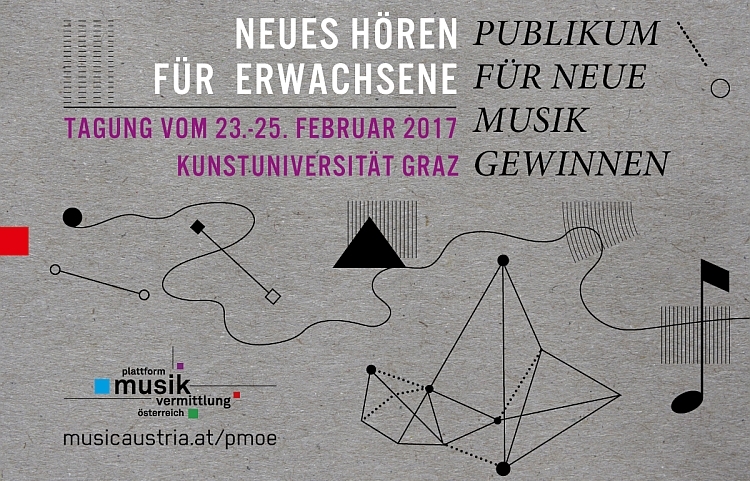 Both events are part of a conference taking place at the University of Music and Performing Arts Graz. This conference is entitled “Tagung Neues Hören für Erwachsene,” which literally translates to “Conference on New Listening for Adults.” There are many ways to view (and hear!) new contexts. If you are in Graz on these dates, we’d be delighted to have you join us. The full conference schedule can be found here, and you can also have a look at the facebook event. Featured image: Still from a video by Barbara Lüneburg based on images by Katarina Michelitsch.